It's hard to say exactly why children with autism are some of the greatest devotees of Minecraft, the computer game in which you build endless worlds out of LEGO-like blocks. Stuart Duncan, a father of two, believes it's because it's a perfect union of two opposites. On one hand, Minecraft offers structure - everything from the water to the doors to the falling lava behaves with a certain predictability that they need. On the other hand, it gives the player infinite freedom. There's no story, no levels, no bosses presenting participants with quests to complete. Behind the shield of their computer screen, players can do whatever they want to do in a sensory-friendly space - recreate the Taj Mahal, light up a house with torches, or hide in a cave. "Having the freedom to do anything you want while simultaneously feeling safe and secure within a structured set of rules and routines is liberating," Duncan says. Duncan has autism, as does his oldest son. About six years ago, the family started playing Minecraft and loved it. But there were challenges. On social media, Duncan kept seeing parents reach out to other parents, asking if their children with autism could play the game together because they kept running into bullies and trolls whenever they played on public servers. Players would destroy everything they tried to make, steal their resources, and kill them over and over again. It was then that Duncan, a web developer in Canada, decided to build a Minecraft world just for kids on the spectrum and their families. He bought a $US2.50 ($3) starter server and called it Autcraft. Today, the game is so popular that Duncan manages it full-time and gave a TED Talk about it. What makes Autcraft unique is that it's whitelisted - you must apply to play. The server is intensely monitored by volunteers who understand autism. They know how to defuse arguments, solve problems and spot bullying. Before selecting admins, Duncan watches them play. "I can teach anyone how to play Minecraft and to learn the commands to manage the server, but what I can't teach is how to handle someone else's child when they're furious, hurt, depressed and suicidal, all at the same time," he says. Autcraft has its own ranking system. You earn titles by being helpful, kind and respectful to everyone on the server. Within the game, Duncan has created "calm rooms", modelled after Snoezelen Multi-Sensory Rooms to ease anxiety. Some are bright with flashing lights, while others are very dark with tiny star-like white dots. Players can choose what type of sensory input they need in that moment. "The in-game chat is disabled so there's nothing to read and no one to bother you," Duncan says. "You get to stay in the game but also take a break from the game at the same time." Some parents have told Duncan that Autcraft been able to do what years of therapy has not. It's helped their children to express their needs, ask for help, and recognise that their actions affect others. Even those who are nonverbal can communicate through chat. The environment of Autcraft gives them an outlet to make friends, all without the pressure to track facial expressions or the distractions of an unfamiliar environment. Duncan hopes that children will learn and grow on Autcraft so that one day, they can go out and play on public servers - and out in the world - without fear. "It's an incredible bonding experience," Duncan says of playing Autcraft with your child. "I know video games or technology can feel foreign to parents but honestly, it's not that bad. Being able to build an entire world with your child is an experience that you just can't get anywhere else. You'll laugh, be creative together, work as a team and dream together. There's just nothing like it." He encourages parents to see what their kids see, and talk to the people they talk to. "Quite often, I find that the parents who aren't actively involved in their child's online life have no idea what their child is actually like online," Duncan says. "Some children come to my server and behave very much the same way that bullies had treated them elsewhere. I'll contact their parents and explain what they're doing and the language they're using - and the parents, almost every single time, will be totally shocked. Their child will always say 'please' and 'thank you' in real life, never swear, and generally just be shy, but once on the internet, with no supervision, they become the trolls that they are usually trying to avoid." He reminds parents often: If you are not teaching your child how to behave online, someone else will. 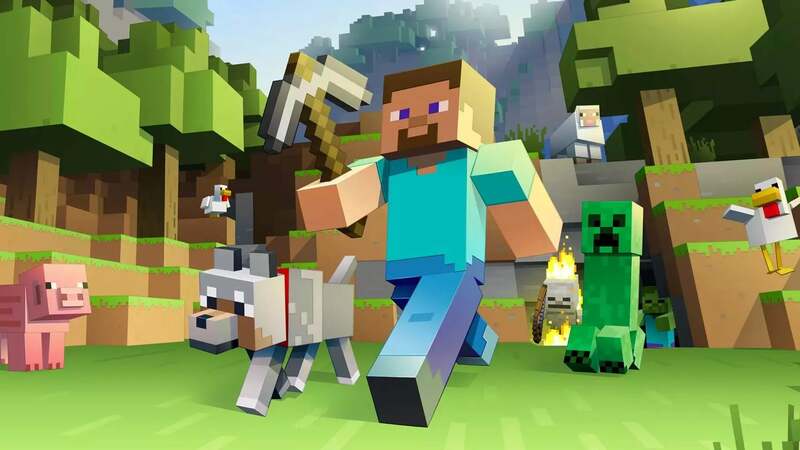 For parents who are new to Minecraft, Duncan suggests letting your kid be your guide. "This allows the child to feel important, confident, in control and useful," Duncan says. "The role reversal really allows both the child and the parent to see things from each other's perspectives." On Autcraft, players learn to talk, plan and work things out with others, which can be difficult when you're not used to having any sort of relationships. Duncan advises parents to look out for new behaviours at home. "Most of the time these 'small' conversations that happen on the server can seem unimportant, but then later I'll hear from parents who tell me that their children started sharing and even giving things away to other kids, or that they started making friends at school, or that someone broke something of theirs and they didn't even get mad," Duncan says. Reward those good behaviours, and talk about the bad ones. Encourage more of what you want to see. If your child is getting upset online, have them take a break or enter one of the calm rooms. Remind them that anything someone says online is never personal. "How can it be?" Duncan says. "They don't even know you. It's an important lesson to learn." Duncan's biggest piece of advice for parents is to not shy away from the game because they don't understand it. Sure, Autcraft is a fantasy world, where kids with autism play behind pixelated avatars, but it may just be the world where they can be the most real.